At Firths, over the last 25 years we have won more than 20,000 cases with a success rate of over 99%. In fact no other law firm has run more cases more successfully than us. 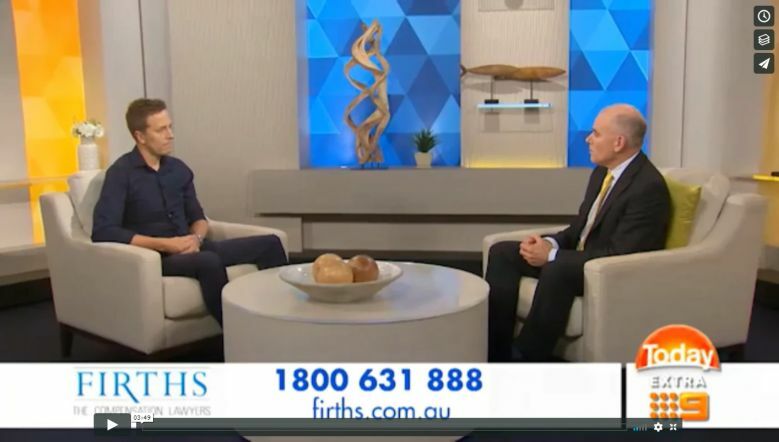 At Firths, we specialise in compensation claims against insurance companies and because we specialise, we achieve better results more quickly. We offer “no win no fee” terms and free case appraisals. For your free no obligation case appraisal, contact us now on 1800 631 888 or complete the enquiry form. in compensation for our clients. in the past 25 years. Fantastic Lawyer, Carl Mickels and his team did a superb job on my behalf, very professional but I felt in my case that they genuinely cared and did everything possible to get me a great result, and they did. 110% satisfied on every level. 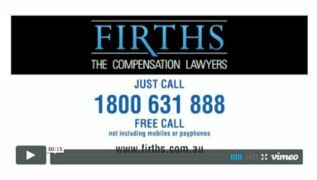 Firths - The Compensation Lawyers. They are very excellent. Do I have to pay you up front? No, you don’t have to pay any money out of your own pocket at any stage for anything. What happens if your costs are more than my settlement? They will be reduced – simple as that. Our whole mission is to make you financially better off not worse off. Not until the end of the case and then only if we have been successful and then only from the result. Do you charge a percentage? No, we don’t because it is against the law for a solicitor to do that. Can I recover any of your costs from the opposition? Yes, we aim to recover as much as we can from them and often recover up to 75% sometimes even more. Why should I use Firths? Because using us can make the difference between winning and losing your case. Also because we specialise we can get better results more quickly at less expense. Do they specialise in compensation claims? Do they have a proven record of success? Will they get the best result? Will they keep things moving and push your claim through quickly? Will they keep you informed? Do they provide a fixed lump sum quote so you will know right from the beginning what it will cost? Will they pay all out of pocket expenses for you and will they keep them to an absolute minimum? Do they offer a no-win / no-pay option for their costs? Do they confirm all advice in writing? Will they recover most of the legal costs from the insurance company? Can I make multiple super TPD claims? Yes, If you have more than one super account that includes TPD cover you can claim against each policy. We have had clients that have successfully made claims against 5 different policies. At Firths, we understand that your situation can be overwhelming and we want to help you however we can. Choose from the options below to help you get started or call us today for a free consultation at 1800 631 888.